“Re-imagined” dreams of a travel quilt | Sew Lindsay, Sew! When Disney Imagineers make significant updates to an attraction, they will sometimes refer to it as “re-imagined” instead of refurbished, remodeled or any other similarly drab and uninspiring reconstruction word. Well, I am about to tell you about a grand idea I had that didn’t quite work out the way I expected… but I hesitate to call it a failure. No, I would rather refer to the results as re-imagined. Because after all, creativity is one of my favorite things in the world – and creativity is not simply getting from Point A to Point B. Nope, it’s about the journey that gets you there! 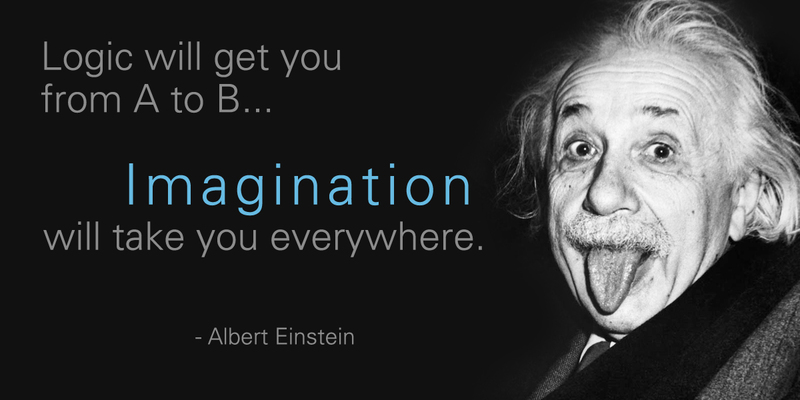 My BFF Albert Einstein agrees. Some months ago, when I realized how elaborate my international trip was becoming, I decided I needed to set some goals. Was there something I wanted to do in each country, or collect from each country, or do to prepare for my visits? I decided that my number one goal was to buy a journal specifically for the trip to be sure I captured as many memories as possible while traveling. After much research – because I can never make purchasing decisions without research! – I finally decided to buy a SmashBook for my trip. 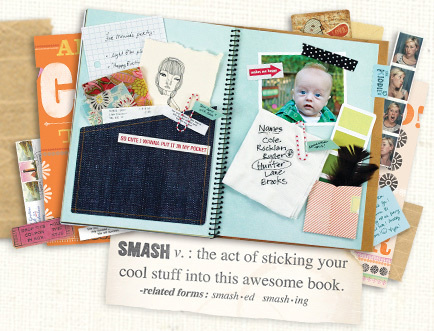 SmashBooks come with a pen/gluestick combo to assist with the “smashing.” GENIUS. I’m happy to report that my SmashBook was a SMASHING SUCCESS (Get it? Ha ha ha) – I wasn’t sure if I’d keep up with the journaling, but I even impressed myself when I spent the little free time I had jotting down thoughts and smashing mementos into the book. 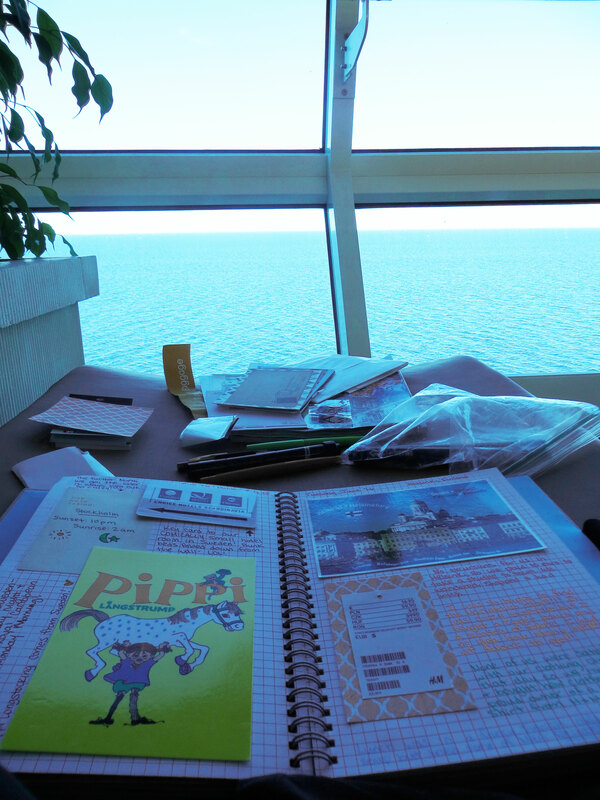 Spent my “day at sea” on the cruise ship working on my SmashBook in the solarium! My secondary goal? To collect fabric from each country and sew a quilt when I returned home. Could it be done? I did some Google research, and sadly… there’s not much out there about making a travel quilt. So I went into this goal blindly and hoped for the best. I thought I would collect any sort of fabric I could find… a clothing item, a tablecloth, a pillowcase, whatever! Well, this is where the “re-imagined” part comes in, because I’ll admit this right up front: I was not able to collect fabric from every country. And each piece of fabric that I did collect is fabulous… by itself. Each fabric type is different, with varied weights, colors, styles, etc. The idea of putting it all together for a quilt now seems like an overzealous dream and would likely ruin the integrity of each piece. Time to re-imagine! I’m taking a look at all of the pieces I did manage to collect and coming up with individual new dreams for each one of them. Have you ever had to re-imagine one of your goals?